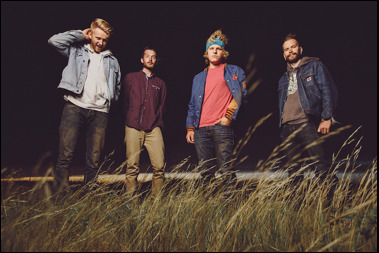 Believe it or not, Canadian quartet Close Talker are on the verge to releasing their second full length record, 'Flux'. Sometimes a band of great quality will sit just under the surface, rarely making an appearance to the outside world, their music remaining unheard amongst the masses. Thankfully for us it looks like the trend is being bucked as they begin making waves across the pond returning with their latest single For The Sun. Eliciting all kinds of warm fuzzy emotions inside of me, it's the buzzing energetic pace that keeps things alive as melodic guitars set off sparks in my heart. It looks like I've got some catching up to do! ‘For The Sun’ will be available to download from the 8th December as the band embarks on an extensive North American tour for the remainder of 2014. UK dates will follow.